← Mind/Shift ‘School of One,’ or the 6 Virtues approach? (2) improving education via the social science improvement paradigm. The manuscript has been adapted for publication here. My graduate school professors were pioneers in the second experiment. We students were supposed to apply research findings when we became leaders in schools and classrooms. They were honest about not having the experience and insight of K-12 educators as they argued that the goal of their experiment was to professionalize teaching and administering. The experimental nature of both movements has been replaced by orthodoxy. Without asking whether the experiments were successful, Americans now believe public education must be governed democratically, and the application of research findings improves teaching and learning. It does not matter that educational opportunity is recognizably unequal within and across states. And it does not matter that applying research findings has done little to improve education. We don’t question these orthodoxies because they have been taught to us by educators who believe them, too. Teachers often tell me public education must be governed democratically. They don’t see the significance of being governed politically, instead of educationally; even though our legal system is governed by legislation and case law, commerce is governed by market principles, and religion is governed by sacred texts and those ordained to interpret them. Are any educators arguing that education should be governed educationally, instead of politically? I don’t know of any. The second experiment is also orthodoxy. Policymakers, superintendents, and principals are fond of telling parents their children are being taught with research-based methods and materials. But even social scientists know that applying research findings has done little to improve education. Their recent response to this knowledge is to claim that teachers don’t apply findings with “fidelity.” And this explanation goes unchallenged, not because it is true, but because it fits within the social science paradigm. Teachers have no recourse but to offer a new paradigm, which is the purpose of this article. Before getting to that, let’s look at the history of both experiments. Has democratic governance provided equal educational opportunity? Has the application of research findings improved teaching and learning? 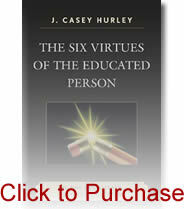 The full arguments are in The Six Virtues of the Educated Person (Hurley, 2009). Short versions follow. Does democratic governance provide equal educational opportunity? Jonathon Kozol wrote several books describing the failure of this experiment (Savage Inequalities, 1992; Amazing Grace, 1996; and The Shame of a Nation, 2005). In 1993 he spoke at Western Carolina University. During the one-hour drive from the airport, he and I chatted about the emerging school choice movement. We agreed that, before abandoning state-funded equal educational opportunity, states should try it. Most still have not. many state constitutions mandate equal opportunities in education. As a result, suits challenging the legality of unequal funding based on district property taxes have been filed in more than three-fourths of the states, and these suits have been upheld or are still pending in at least 31 states. We don’t know what the ideal of equal educational opportunity looks like, but we know what unequal opportunity looks like. It looks like legal challenges to state funding across the country. Setting aside those challenges, what does educational opportunity look like in your state? Have you driven through urban, suburban and rural neighborhoods and noticed school conditions? Does it seem like, where neighborhoods have large, expensive homes; the nearby schools are well-maintained and modern? Does it seem like they have extensive AP offerings and many special programs? Does it seem like programs are partially funded by PTAs and local businesses? Does it seem like, where homes are small and dilapidated; the schools are old and rundown, too? Does it seem like these schools have fewer special programs for students, fewer AP offerings and less PTA funding? Unequal educational opportunity looks like schools in North Carolina. What does it look like in your state? Is your legislature engaged in the political struggle to equalize educational opportunity? Or is it avoiding legal challenges to its funding system? Does your state equalize funding? Do children living in poor neighborhoods attend schools like those in wealthy neighborhoods? If not, when do we conclude that the experiment has failed? Do we need 150 more years of unequal opportunity for children deemed unworthy of modern, well-equipped schools and programs? The Waiting for Superman (WFS) documentary is sometimes described as an indictment of teacher unions and ineffective teachers. These reviews miss the mark. WFS is another story about the failure of our experiment. The failure of democratically elected officials to provide equal educational opportunity looks like the tear-filled eyes of WFS children and parents. In other words, has democracy given us hope or despair of someday achieving more equal opportunity? If we are despairing, when do we see a failed experiment? The time is now. Does the application of research findings improve teaching and learning? My paradigm for improving education is aesthetic, so my core value is appreciation, not effectiveness. Those who believe in the social science improvement paradigm have the burden of providing the effectiveness data supporting the experiment’s success. Which data should they cite: (1) findings about whole language or phonics? (2) findings about homogeneous or heterogeneous groupings? (3) findings about student-centered or teacher-centered classrooms? Or maybe they should cite findings that reflect a consensus. Time-on-task studies have concluded that, all other things being equal, students who study more score better than students who study less. How many studies did teachers need to discover that? I didn’t need any. 1. What were the findings? 2. What did teachers do differently to apply the findings? 3. What is the evidence for concluding higher achievement was the result? I will post responses here. I look forward to reading the evidence, except if the evidence is in the form of higher test scores. I don’t care about test scores because I already know some students score higher than others. I don’t need data to tell me that different students score at every percentile between 1 and 99. Norm-referenced tests compare each student to a theoretical set of 99 other students. They can’t prove whether teaching and learning are improving because that is not their purpose. They simply tell students their position on a bell-shaped curve, and the curve moves with the scores. Or maybe believers can point to criterion-referenced test data to prove that students choose more correct responses when teachers apply research findings. Before using these data, however, we have to agree on the most important knowledge and skills. There is not enough time to assess an infinite number of competencies. We have to agree on the most important ones because nobody cares if students know unimportant things and have unimportant skills. Unfortunately, no such consensus exists. We had somewhat of a consensus in the 1950s, 60s and 70s — times tables in grade 3, English grammar rules and diagramming sentences in grades 5-8, Algebra in grade 9, composition and literature in grades 9-12, biology in grade 10, etc. Textbooks broke these disciplines into learning units. Do we have a consensus, today? What about 21st Century skills? What about higher order thinking skills? What about the knowledge and skill requirements for workers in a global economy? What about Core Knowledge? What about International Baccalaureate? What about AVID, or Expeditionary Learning? Did these get added to the consensus, or have they replaced parts of it? In other words, do we have a deep, useful definition of what it means to be educated? If so, what is it? If not (which is the correct answer), how can the social science paradigm improve what we have not defined? Is the experiment successful if it effectively achieves the random knowledge and skills identified by politicians? The social science improvement experiment has failed for several reasons. First, it does not define what it means to be educated in a useful, inspiring way because that is a philosophical/aesthetic question, not a social scientific one. Second, the default definition of scoring high on standardized tests does not inspire improved teaching or learning. Third, research findings can’t reliably guide teaching and learning practices. Best practices are more likely to be identified by a teacher than by people who have never been in that particular classroom. If the second experiment has failed, what should we do? We should replace the social science improvement paradigm with an aesthetic one. This is a paradigm shift in the Kuhnian (1970) sense of the phrase. The two paradigms start with different assumptions, ask different questions, and produce different kinds of knowledge. An aesthetic improvement paradigm assumes that, at their core, teaching and learning are aesthetic experiences. Therefore, it asks questions about appreciation, not effectiveness. Third, it produces knowledge about what is beautiful and ugly, not about what works in hypothetical situations. An aesthetic paradigm assumes educated people are those who bring beauty into the world. In other words, they are virtuous. Those who believe the educated person is knowledgeable and skillful can take heart in realizing that virtue leads to knowledge and skill. Once we understand that the educated person is virtuous, the question becomes: “Which virtues?” Some virtues are more fundamental than others. If we envision a brick wall of virtues, the following three pairs of intellectual, character, and spiritual virtues form the bottom row: (1) understanding and imagination, (2) strong character and courage, (3) humility and generosity. All other virtues are combinations of these six fundamental virtues. For example, perseverance is a virtue only when a person perseveres in something that is possible. Therefore, virtuous perseverance is a combination of understanding, imagination, and strong character. It involves understanding and imagining what is possible and having the character strength to stay with it. The same pattern holds for honesty. People cannot be virtuously honest without understanding, strong character, and courage. Respect is a combination of all six virtues. One can have understanding, imagination, strong character, courage, humility or generosity without respect; but one cannot have virtuous respect without demonstrating the six virtues. A virtue definition of “educated” both inspires deep teaching and guides teaching practice. Virtues are learned through the modeling of adults, so teachers must model these virtues as the first step toward passing them on. Furthermore, this definition tells teachers how to promote the development of these virtues in students. In situations fraught with ignorance, they need to model and teach understanding. In situations fraught with intellectual incompetence, they need to model and teach imagination. In situations fraught with weakness, they need to model and teach strong character. In situations fraught with fear of truth, they need to model and teach courage. In situations fraught with pride, they need to model and teach humility. And in situations fraught with selfishness, they need to model and teach generosity. Public school educators already model and teach understanding, strong character and generosity. They simply need to add imagination, courage and humility. An aesthetic improvement paradigm asks different questions about how to improve education. The social science paradigm asks about effectiveness. The aesthetic paradigm asks about appreciation. When educational research answers questions about effectiveness, the social science paradigm is a subset of the aesthetic one. Knowledge of hypothetical effectiveness contributes to understanding, which is the first virtue. As long as this knowledge does not suppress the second virtue of imagination, research findings have a place in the aesthetic paradigm. Their place is at the periphery of how to improve education. If we envision a circle of educational improvement efforts, all the effectiveness findings belong at the periphery, where there are an infinite number of points. The center of the circle–where there is just one point–is reserved for appreciation. Education improves if we always keep appreciation at the center. Teaching and learning improve when teachers appreciate their students, subject matter, and what it means to be educated. Learning improves when students reciprocate with appreciation for their teachers and lessons. This paradigm produces aesthetic knowledge. Teachers who model the virtues of the educated person produce and share knowledge about what is beautiful and ugly in human experience. Young people become educated as they experience how human understanding, imagination, strong character, courage, humility and generosity make life beautiful; and how ignorance, intellectual incompetence, weakness, fear of truth, pride and selfishness make it ugly. If the first experiment has failed, what should we do? The democratic governance of public education is based on the assumption that we can’t agree on what it means to be educated. Therefore, school boards and state legislatures are elected to define the purposes of public schools. One of today’s purposes is to prepare students to correctly answer multiple choice questions on standardized tests. Another is to prepare workers for the 21st Century global economy. Both are political purposes more than educational ones. The first enables politicians to get re-elected by holding teachers accountable. The second gets them re-elected by promoting the economic prosperity of American business and industry. But the purposes of public education should be educational, not political. We can have educational purposes if we agree on what it means to be educated. That is why a virtue definition is needed. We can agree on the virtues of the educated person, but we could never agree on the knowledge and skills of the educated person. Those possibilities are endless. After we define what it means to be educated in a useful, inspiring way, we can have educational governance, instead of political governance. Governors must model what it means to be educated in the way they govern. It would be hypocritical to do otherwise. The six-virtue definition is the key to governing educationally, just as it is the key to an aesthetic improvement paradigm. (1) Dozens of wealthy Texas school districts held onto more than $40 million in tax dollars that should have gone to poorer districts until this year, when the state demanded they pay up. (2) Panelists at a K-12 education forum held in Washington last week sparred over how teachers’ performance should be evaluated, presenting a microcosm of what has become a heated national debate. The first lead tells us that democratic governance continues to provide unequal education opportunity. The second suggests that the social science paradigm does not resolve debates about educational effectiveness. Either Texas school board members are not committed to equal educational opportunity, or they are not guided by a virtue definition of educated. It is probably both, but we excuse their behavior because democratically elected officials are supposed to battle for the resources that give their students the greatest educational opportunity at the lowest cost to constituents. Here is a case where education politicians win, poor children lose. Although we want to believe democratic governance can be virtuous (educational), it rarely is, and we have come to expect that it won’t be. What about evaluating teacher performance? Has this “become a heated national debate?” If so, it must be my imagination that I have been debating this for the last forty years as a teacher, administrator and professor of education. Why are we no closer to resolving this question today than we were when I taught in the 1970s and evaluated teachers in the 1980s? After sixty years of the social science improvement paradigm we are no closer to resolving any of our traditional debates. (Readers should nominate a debate we have resolved and I will post it here.) Because we have not defined what it means to be educated, we have not resolved any of our debates. How could we? How would we know what a resolution looks like, if we have no definition of “educated?” You can read here about why we will continue to pursue the social science paradigm, even though it has failed to improve schools. If our 160-year and 60-year experiments had been successful, these stories would not be in the news. If we had equal educational opportunity and teacher effectiveness, we would be shocked by these two stories, but we are shocked by neither. But if we agreed on a useful, inspiring definition of what it means to be educated, our stories would change. We could see what is successful and what is not. Until then, why does anybody care if test scores go up or down? Biddle, B. and Berliner, D. (2002). Unequal School Funding in the United States. Educational Leadership, V. 59. N 8. May, 2002. pp. 48-59. Bolton-Fisher, K. (2001). Asheville Citizen-Times, February 16, 2001. Hurley, J. C. (2009). The six virtues of the educated person: Helping kids learn and schools succeed. 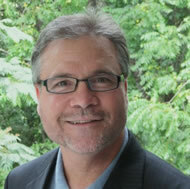 Lanham MD: Rowman and Littlefield Education. Kozol, J. (1992) Savage inequalities: Children in America’s schools. New York: Harper Perennial.